Are you getting curiouser and curiouser about The Big Event? Don't be late for this very important date! Shorecrest in Wonderland has sold out its original location! By popular demand the planning committee has secured a new location. The Big Event will be held on Friday, March 1 at 7pm at Station House St. Pete, 260 1st Ave S, St. Petersburg, FL 33701. Join us down the rabbit hole for a fun-filled evening of great food, drinks, casino games & incredible prizes. 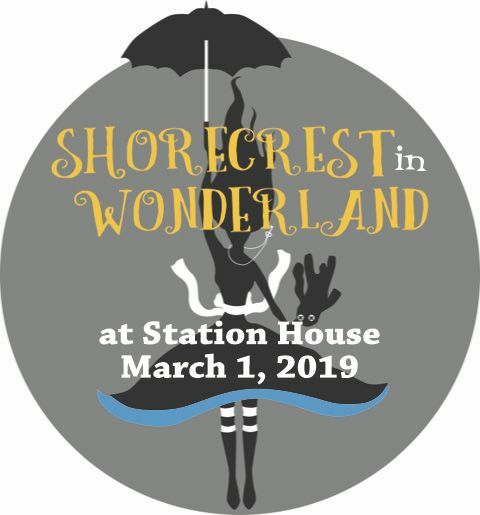 The first location sold out fast - don't miss your second chance to attend this incredible evening to support Shorecrest and enjoy all of the surprises of an Adventure in Wonderland! Date night extravaganza filled with gift certificates to restaurants, a spa, the gym, even theatre tickets! Tickets to enjoy the best of the Bay with a group of friends around town dining out, watching the Rays, visiting The James Museum - and more! Everything you need to keep your car or truck running like gold - gas card, detailing, and more! Prices vary by chest. Only 100 keys available per chest, so the odds are in your favor! Check out the full catalog now at www.shorecrestbigevent.com for more details! SCA also hosts parties throughout the school year, and the Big Event website is your way to get a ticket and save your space! Kids can enjoy "Ninjas in Wonderland" or playing dodgeball against coaches, tea parties and ice cream socials, there's bourbon night for the dads and escape rooms for middle schoolers. Upper school students may want a spot in the Smash Bros. tournament or Mr. Paige's parking spot for a month. Some lucky little ones can get a hip hop dance lesson, and our youngest Chargers can have an almost sleepover - giving parents/guardinas a night off! Tickets, wonder chest keys, and more information are available online at www.shorecrestbigevent.com. Contact bigevent@shorecrest.org with any questions.